From the opening day ribbon-cutting to Derby Eve, Fest-a-Ville will be the downtown Louisville destination at Kentucky Derby Festival time and promises to have something for everyone, including Bourbon. We have partnered with Drake’s, a neighborhood restaurant & bar, to serve a specialty Four Roses Bourbon cocktail to event attendees. We will again sponsor The Great Steamboat Race, a unique event that pits the historic Belle of Louisville against the Belle of Cincinnati in a race down the Ohio river. On-board, guests are treated to food, entertainment and of course…Bourbon. 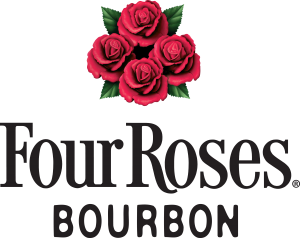 At a press conference in March, representatives from the Kentucky Derby Festival, the Belle of Louisville and the Belle of Cincinnati selected a different Four Roses Single Barrel Bourbon to be served aboard the vessels for the event. EAT, DRINK, AND SUPPORT A NOBLE CAUSE! Join us for an evening of food, fun, music and drink. Experience tastings of exquisite beer, wine, spirits and food provided by some of Louisville's top restaurants. Taste of the Bluegrass is a celebration of Kentucky and southern-style food and beverage with live music and a silent auction. All proceeds go to God’s Pantry Food Bank, working to feed Central and Eastern Kentucky families, children, and senior citizens! Go behind-the-scenes at the world’s most iconic Bourbon distilleries in this exclusive event. Mingle with Master Distillers. Sample rare offerings and hand-pick your own private barrel selections. Celebrate Bourbon culture and cuisine with top chefs, Bourbon barons and world-class mixologists. Louisville's iconic music festival returns this summer with some of the biggest names in the industry. It's time to let loose with live music, great food and Bourbon!